CONTOURING YOUR BODY WITH AN ARM OR THIGH LIFT WILL PROVIDE YOU WITH A SLIMMER, FIRMER LOOK. Arm and thigh lifts are surgical procedures designed to remove excess skin and fatty tissue from the upper arm or thigh. This treatment serves to improve the shape of the area of concern, resulting in a more balanced and aesthetically pleasing overall figure. A surgical lift is an excellent treatment for those who have been actively or steadily losing weight but are still unsatisfied with the look they are left with even after achieving significant weight loss results. As we age, losing weight often means that the body is left with excess skin that is particularly difficult to shift. When weight loss is quick and substantial, the skin often struggles to conform to the new contour, and can therefore appear loose and saggy, which can affect the appearance of the entire body. When exercise and dieting can no longer help you achieve your optimal figure, an arm or thigh lift can work as the final step: a long-lasting, satisfying method for attaining and refining your ideal figure. CONTOURING YOUR BODY WITH LIPOSUCTION WILL PROVIDE YOU WITH A SLIMMER, FIRMER LOOK. Weight loss may feel like an ongoing, never-ending mission to lose the unwanted kilos or sustain results you have already achieved. At times, a ceiling can be reached that prevents us from seeing further weight loss results no matter how much more sweat we shed, calories we burn or temptations we avoid. This ceiling is often referred to as a weight-loss plateau, and it can be frustrating for those trying to not only hit a target number on the scale but achieve an ideal body profile. If you are facing a plateau, you might be the perfect candidate for liposuction, a surgical procedure that eliminates the problem spots you have not been able to get rid of on your own. Dr Ansari offers effective liposuction techniques for his patients looking to sculpt their bodies and put the final touches on their weight loss efforts. His extensive experience and desire to provide his patients with optimal results have made him a top choice for liposuction and other body contouring procedures. ARE YOU CONCERNED WITH ABDOMINAL FAT, LOOSE MUSCLES AND SAGGING SKIN? Abdominoplasty or a tummy tuck is a common cosmetic surgery procedure that removes undesired fat and excess loose skin from the abdomen while tightening up the abdominal muscles if needed. Changes to the midsection may be caused by pregnancy, age or weight change, and can be resistant to even the most rigorous weight loss efforts. In most cases, an abdominoplasty will restore shape and tone to the abdomen, creating a firmer and smoother body profile. The procedure is commonly combined with liposuction to recontour and reshape the entire abdomen, waist, hips and flanks. Dr Ansari has extensive experience in tummy tuck procedures and will tailor your surgery to your precise needs and desired results. By combining nearly all his tummy tucks with liposuction to help remove stubborn pockets of subcutaneous fat, Dr Ansari can achieve the sculpted results sought by men and women alike. Schedule your initial consultation with Dr Ansari today and find out why so many Australians are choosing My Cosmetic Clinic for their body contouring procedures. Abdominoplasty tends to work best for men and women who are in relatively good health and are worried about excess abdominal skin and large fat deposits that have been resistant to diet and exercise. Women seeking a tummy tuck often complain that changes during pregnancy have led to a protruding stomach or excess folds of skin or fat. Men are often wanting to lose their “pot belly,” “spare tire” or “love handles.” A tummy tuck can address all these issues, with several variations of the procedure depending on the amount of correction needed. Dr Ansari will evaluate your concerns, overall health and desired results at your initial consultation to determine whether abdominoplasty is the right cosmetic procedure for you. This option is recommended for patients who have maintained tight abdominal muscles but have a small amount of loose skin they would like removed. The procedure involves a smaller incision and a quicker recovery period, but the results will not be as dramatic. Abdominoplasty is recommended for patients that have a considerable bulge around the middle, as well as stretched abdominal fascia and muscles. The full tummy tuck involves the relocation of the belly button and reconstruction and tightening of the underlying muscles to create a smooth, natural appearance. Once Dr Ansari has performed a physical examination, he will be able to determine which of these tummy tuck techniques is more suitable to your needs. Please note that Dr Ansari almost always performs liposuction at the same time as a tummy tuck to remove excess fat from not only your abdominal area, but also your hips and flanks. The combination approach ensures you receive the best possible results from your tummy tuck procedure, with just a single time under anaesthesia required. Abdominoplasty can be performed under twilight sedation and local anaesthetic, or under general anaesthesia. During your consultation with Dr Ansari, you will discuss the right type of anaesthetic for your surgery, based on your personal preference and the complexity of the procedure. Once the anaesthesia is administered, Dr Ansari will make an incision across your lower abdomen that extends from hipbone to hipbone if you are undergoing a full tummy tuck. Incisions for mini tummy tucks are usually shorter. The incisions will be placed low enough that they will be hidden underneath your clothing to minimise visible scarring after surgery. Dr Ansari will then tighten your abdominal muscles while removing excess tissue and fat to sculpt a flatter appearance to the midsection. Loose skin will also be eliminated, so you are left with a smooth, natural result. When necessary, the belly button will also be repositioned to a more attractive location. The length of your surgery will vary, with mini tummy tucks taking around one to two hours, while a full tummy tuck usually lasts three to four hours. Dr Ansari will likely perform liposuction at the same time to sculpt a more attractive result without adding an extensive amount of time to your procedure. There will be some discomfort, swelling and tightening after your abdominoplasty, and you may not be able to stand up straight or lie completely flat for a period after your surgery. Pain is usually managed with oral pain medications, so you remain as comfortable as possible while your body heals. Some of these medications have a sedative effect, so you are advised not to drive or operate machinery whilst taking this medication. A full tummy tuck is an invasive procedure; however, the recovery time and discomfort will be worth it once you have fully recuperated and you can enjoy your new body profile. After the first week following your tummy tuck, you can start performing light exercises, such as walking outside or on the treadmill. It is essential that you refrain from impact exercises like running or aerobics, until at least four to six weeks following your surgery, depending on how quickly your incision heals. If you work in an office, you can commence work after seven to 10 days, whereas more strenuous types of work should be avoided until four to six weeks following your surgery. A compression garment needs to be worn day and night for two weeks, and overnight for an additional two weeks, as it does not just promote better wound healing, but will also help your remaining skin better adhere to your new shape. A tummy tuck produces dramatic changes around the midsection that will last as long as you maintain a healthy weight. After a tummy tuck, the treated area will not expand again so long as you maintain a healthy weight, simply because so many of the fat cells have been removed during the procedure and you maintain your weight. Dr Ansari advises his female patient to wait until they are finished having children before undergoing abdominoplasty since pregnancy can also alter results of the procedure. When these guidelines are followed, most patients will never need another surgery to maintain their slimmer contour. However, keep in mind that both skin and muscles in the treatment area can stretch once again over time. Nevertheless, you will have much better contouring of your abdomen, regardless of how much time has passed following your tummy tuck and the subtle changes you might experience as a result of the ageing process. If you would like to learn more about the potential benefits of a tummy tuck, contact My Cosmetic Clinic today on 1300 85 49 89 to schedule your private consultation with Dr Ansari. If safety, experience, and natural looking results is what you seek from breast implant surgery, Dr Ansari is worth considering. Breast augmentation surgery using implants is a popular way to improve the size, shape and symmetry of the breasts. This procedure enhances a woman’s figure by producing a proportionate form and correcting minor imperfections that might make her self-conscious about her appearance. Many women find a successful breast augmentation improves their self-confidence as well as how they look in clothing. Breast augmentation is a commonly performed cosmetic surgery procedure in Australia today. With the ability to choose implants to fit with a patient’s body structure, breast volume and shape, this surgery promises natural, long-lasting results for the right patients. Dr Ansari is highly experienced in all facets of breast augmentation and breast lift surgery and will help you create the surgical plan that best meets your needs and your aesthetic goals. He can use the full spectrum of implant options to ensure your surgery is uniquely designed to your body size and the results you would like to achieve. ARE YOUR BREASTS CAUSING YOU TO FEEL OVERLY SELF-CONSCIOUS ABOUT YOUR BODY? Breast reduction is a surgical procedure, which involves the safe removal of extra fat, glandular tissue and skin, which results in breasts that are smaller, lighter and firmer. The aim is to achieve better-shaped breasts, that are more suitably proportionate to the rest of the body, resting on the desired position of the chest wall. It is suitable for women with a large, pendulous breasts who may be experiencing various symptoms due to their breasts size. Symptoms include back and neck pain, notching of shoulders due to bra straps, skin irritation in the breast folds and difficulty in participating in gym activities. Large breasts can make a woman extremely self-conscious about her body. SURGICAL FACELIFTING OFFERS LONG-TERM AND HIGHLY REWARDING RESULTS. Facial rejuvenating procedures such as facelift surgery are highly rewarding and satisfying procedures for appropriate patients. Most patients requesting evaluation for facelift surgery feel that their facial features do not reflect their youthful spirit and energy level. The sagging skin of the face and neck is a common problem due to the combination of gravity and aging. 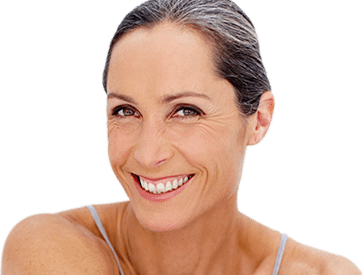 A facelift procedure restores a more pleasing contour of the face and neck, allowing patients to ‘turn back the clock’, providing them with a better, more youthful appearance. At MCC, we believe in providing our patients with a natural, vibrant and refreshed look as opposed to a more artificial, ‘plastic’ or ‘pulled’ appearance. AGING EYE CONDITIONS, SUCH AS DROOPY EYELIDS, CAN ADD YEARS TO YOUR APPEARANCE AND EVEN IMPAIR YOUR VISION. Droopy upper eyelids make people look tired and prematurely older. In addition, the sagging may decrease light entry into the eyes, narrowing the peripheral visual field and affecting vision. Living with drooping eyelids is not easy. It is common for individuals to compensate by raising the eyebrows to improve their sight, which may result in excessive forehead creases and eyes that feel fatigued much of the time. The changes to the eyes can also dramatically affect a person’s appearance, creating an aged, weary look that may impact self-esteem and self-confidence as well. Dr Ansari offers an advanced method of blepharoplasty or eyelid surgery to patients wanting to refresh and rejuvenate the area around the eyes. His bladeless technique reduces both scarring and recovery time, while providing both cosmetic and possible functional benefits. 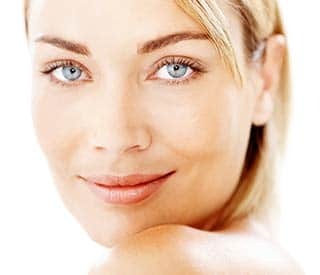 Now is the time to book your initial surgical consultation at My Cosmetic Clinic and find out if bladeless blepharoplasty is the right choice for you. Is a Tummy Tuck Covered by Medicare? ANTI-WRINKLE INJECTIONS: HOW OFTEN IS TOO OFTEN?